We are delighted that Phil Robertson has given Solent Events an exclusive interview. Phil recently won the World Match Racing Tour (WMRT) Match Cup Australia & achieved silver in the overall 2016 WMRT series. 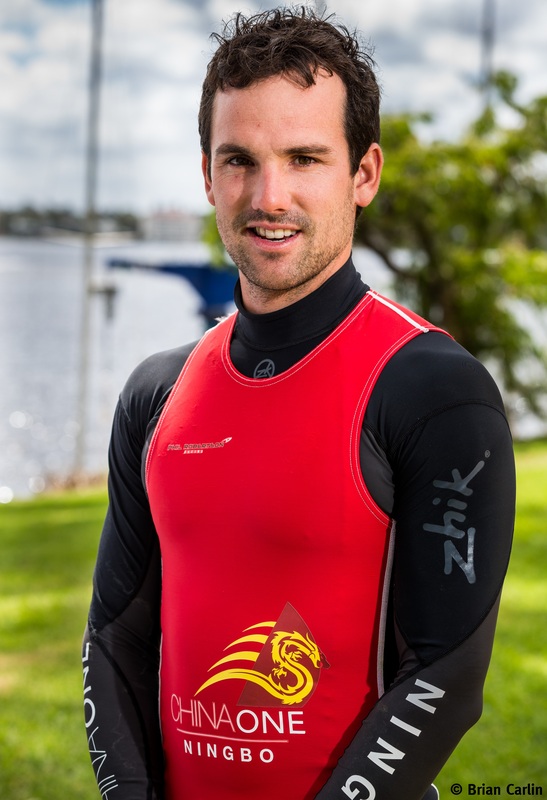 He’s sailed on some of the top racing yachts in the world & now he’s back for the 2017 WMTR season with the same crew and one goal – to turn his silver into gold! Currently sitting in the top spot, there’s still a way to go but we have everything crossed for him! 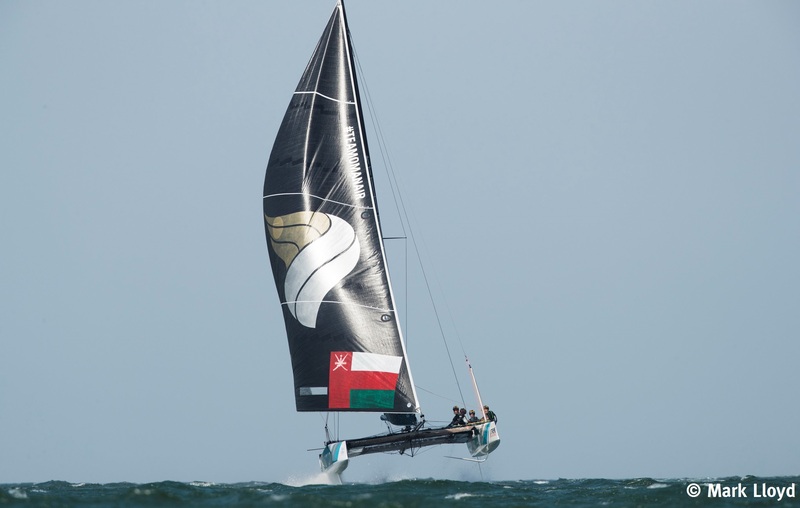 Phil is also currently juggling his time sailing as skipper of Oman Air in the Extreme Sailing Series with the team currently in 3rd position after the first ‘act’ held in Muscat this March. Where did you start sailing and in what boat? “I started sailing in Auckland. The first boat I sailed was a Sunburst, a two person boat that is very common in New Zealand where you’d typically see a parent and child combination. A great family boat really, my dad built our one in the garage when I was 2 years old. I have been extremely lucky to sail a huge variety of boats from little dinghy’s to big ocean racing boats. 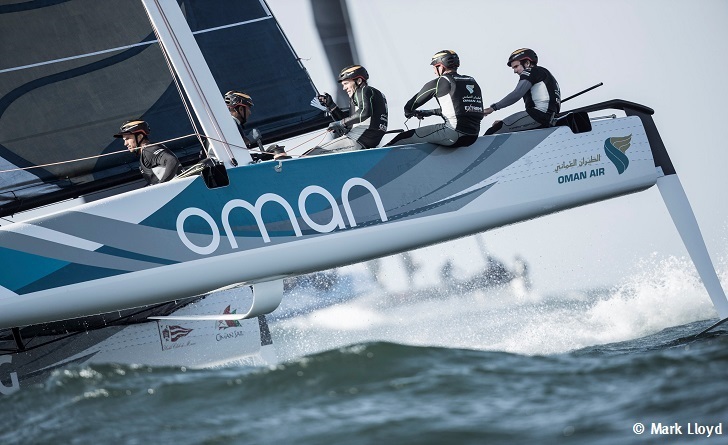 The most enjoyable boats I’ve sailed are the Volvo 70s, AC45s and GC32s”. Could you describe what a training week could look like? How much to you train on a daily basis? “I guess we train in two types of ways. One is the actual sailing training and the other is physical training. The sailing training – We often try to start the day with a light gym session, then into a morning briefing and breakfast. We’ll do a morning session on the water working on whatever it is at the time we see as a weakness. Then we’ll come in for two hours for lunch. This usually includes a quick watch of footage from the morning session with a debrief on all aspects of the morning. We then move into an afternoon session where we would typically try and simulate racing. Ideally with other boats but alone if needed. In these sessions we will always have specific areas of the race we want to work on. i.e. – communication, a certain type of start, entry and exits into bottom marks etc… The physical training has to be regular. If you are serious about the sport you should be fit, especially with the way sailing is trending. For me it is different to the rest of the crew. My role isn’t as physical as theirs so you would think you wouldn’t need to be as fit. I have found the fitter I get, the better my sailing becomes. I spend a lot of time riding and running to stay fit, and I also focus a lot on endurance and stamina. This keeps the mind sharp when it matters the most. The crew need a lot of strength and fitness so they are typically in the gym most days. Boats are getting faster so the crews have to become more dynamic than in the past. They have to be strong, have good endurance and be agile, a tricky ask when you want them to be heavy too”. When did you decide to become a full time professional sailor? “I guess it just naturally happened for me. There wasn’t one moment in my life I decided to do it. I cut my teeth in Match Racing and started to compete seriously in 2009. Being from New Zealand this meant we had to leave home and spend the majority of the year in Europe. I formed a team that travelled together for 6 to 8 months of the year together, competing as much as we could. 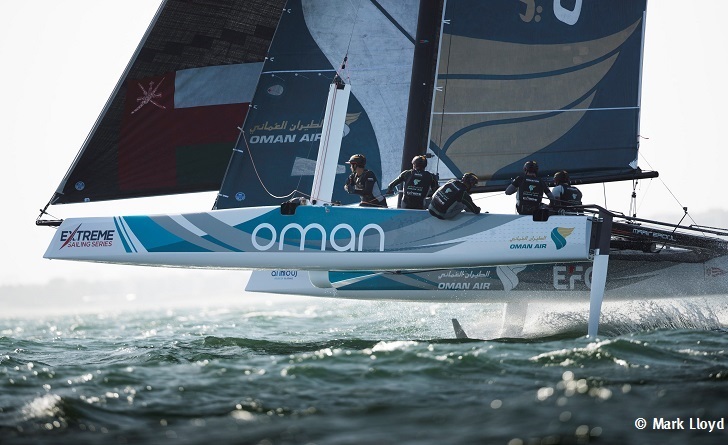 It went really well so we decided to go at it again and set the target of winning the World Match Racing Championships. I’ve never stopped since”. 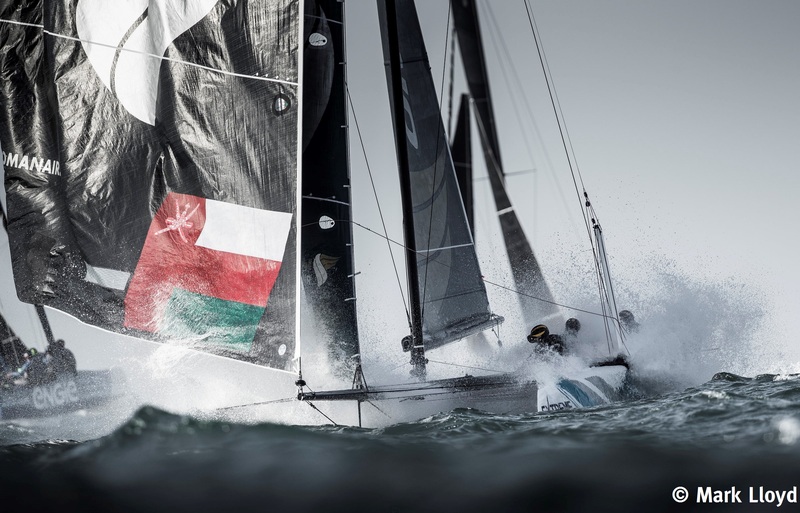 What made you interested in the Extreme Sailing Series? “The extremes sailing series is a fantastic concept and event. I first experienced it in Cowes in 2011. It was a windy event with a few capsizes and a lot of action! That caught my eye and I knew I wanted to race in that style of boat and racing”. Is there a significant difference between the Extreme 40 catamaran and the new hydro-foiling GC32? “The boats are two very different beasts. The Extreme 40 is big and heavy, like a truck! It is really hard to sail in windy conditions due to its design and weight. The GC32 in comparison is like a go-kart. It is small but super-fast! 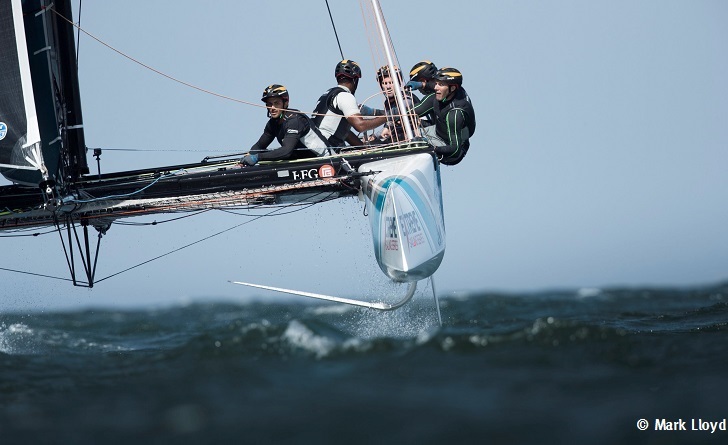 The foils just lift the boat up and when she is flying, it is an incredible feeling”. Which would say is your greatest accomplishment today? “Winning the Marstrand edition of the World Match Racing Tour in 2016 is my biggest accomplishment to date. It’s a goal I was working towards since 2009 and it all fell into place last year. As soon as the WMRT changed to multihulls I knew I would be very competitive and to have your plans work is a super nice feeling”. 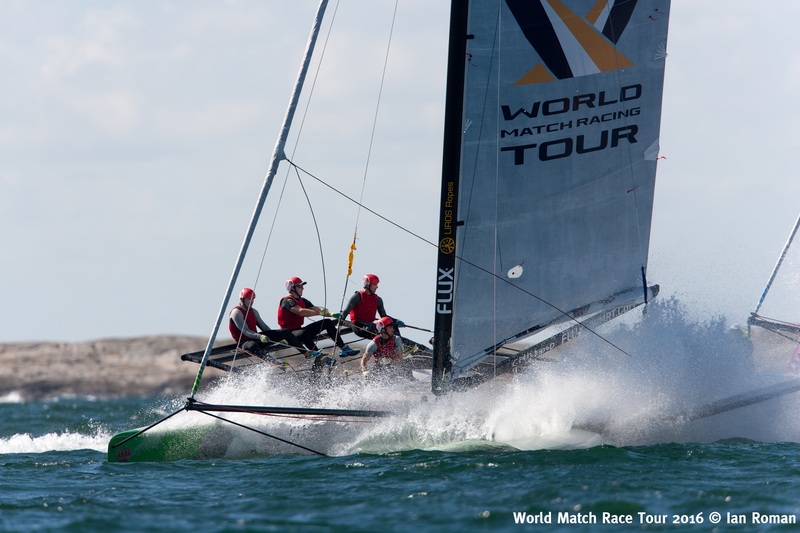 What was it that made your team so successful in the World Match Racing Tour in Perth? “We had all just come off racing two events in the GC32 the weeks prior, so we were all very prepared. It all went to plan in Perth as well. After the World Champs last year we knew there was a lot for us to work on as a team. We put a lot of that into practise and made some good steps forward. At the end of the event we were foiling really well and able to get all aspects of the race in line. The final day we couldn’t put a foot wrong which made a very memorable day for our team. My take on sailing is it is super important to be relaxed. The more relaxed you are the better feel you have for the boat. We work a lot on keeping calm and keeping the stress and yelling low. We try to always speak as calm as possible even in some of the most intense moments, that way everyone stay’s relaxed and can think clearly. I believe it is a big factor to being a successful sailor, so we are always trying to keep the tone down onboard”. What has been the hardest challenge you have experienced so far? “The mental challenge is always the hardest. Getting your thoughts under control in the heat of battle I have found to be a big challenge. This takes time and experience. I like to compete in endurance races during the off season to push the body physically to find out more about my mental capacity”. What do you site as the ultimate goal for you? “My goal has always been to be competing at the top of the sport. I have a dream of racing in the America’s Cup and also competing in the Volvo Ocean Race”. We wish Phil all the best of luck in the future!